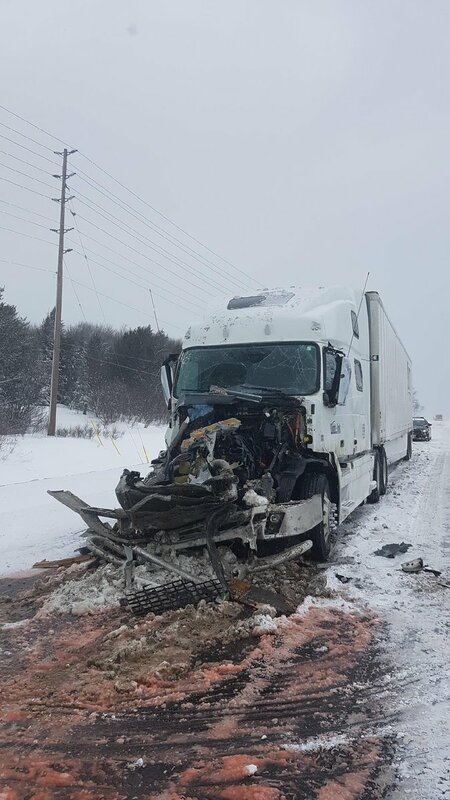 On Friday February 8, 2019 at around 11:30 a.m. Huntsville OPP, Huntsville Fire and Muskoka Paramedics Services resounded to a collision on Southbound Highway 11 at Stephenson Road 12 including two trucks and two cars. Huntsville OPP Detachment Commander John Paul Graham says unbelievable that there were no injuries. White out conditions throughout Muskoka; no need to be on the roads if you don’t have too. EC has issued a snow squall warning and a blowing snow advisory. 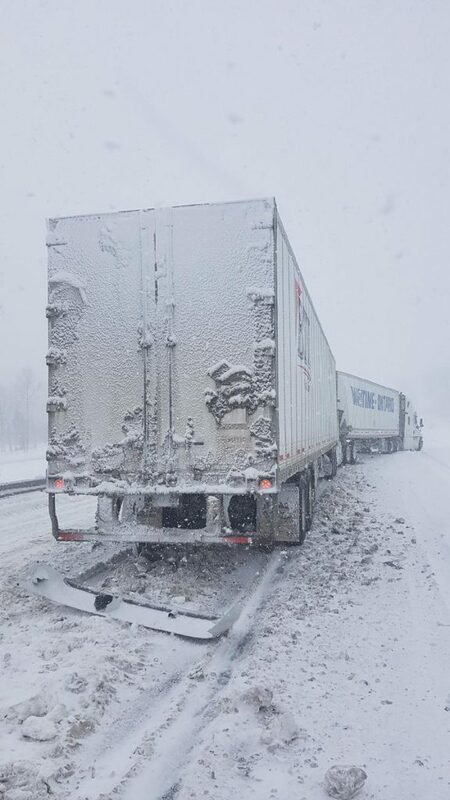 OPP are dealing with several crashes and road closures. Great job by HFD, and all responding personnel! We are glad your there! Charge them all involved in the accidents with what I see, driving to close, hence the tractor trailers rear ending. The rest with careless because your not driving to road conditions. AND YOUR PUTTING OUR FIRST RESPONDERS AT RISK, just saying and a safe day to you all!